Our pottery lessons, making days and workshops are not ‘pottery party’ or ‘paint a pot’ days but are aimed at people who are looking for an opportunity to sample pottery in a more rewarding way. A single afternoon learning to slab build or throw, can be a rewarding experience resulting in the making of a ceramic piece to value for many years. We have no absolute age limit, but we recommend children should be over the age of twelve. In any event an adult must accompany young people below the age of sixteen. Because the nature of pottery making requires more time than can be allotted to an occasional visit, you can choose which of your work you wish to keep and we will finish, fire and glaze it, before sending it to you at home. Afternoon sessions of three or two hours each. We are able to cater for absolute beginners and more advanced students alike. Our spacious and well equipped studio ensures plenty of opportunity for one to one tuition. 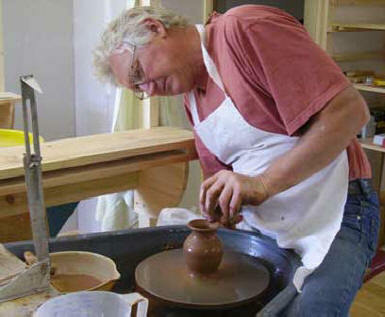 If you just want to try your hand at throwing, coiling, press moulding or slab building a pot. this is probably for you. This allows a enough time to produce several pieces, the best of which you may wish to keep. We will finish your pots for you after they have dried, we will glaze them and send them to you when ready. The cost this service will depend on what you have made and how much finishing is required but is a nominal amount just to cover our costs. Lampeter is a five minute drive from the workshop if you wish to go into town for lunch. If you prefer, bring a packed lunch. Tea, coffee or soft drinks are provided free for lunch and throughout the day. Two hour afternoon session £25 p.p. Three hour afternoon session £35 p.p. All day sessions 10am - 1pm / 2pm - 5pm £55 p.p. Finishing of pots and posting to you: The cost this service will depend on what you have made and how much finishing is required but is a nominal amount just to cover our costs. Days arranged according to availability. Our workshops are designed for a more intensive period of participation. They are organized as morning and afternoon sessions of three hours each. We cater for absolute beginners and more advanced students alike. The workshops are tailored to suit individual needs. Throwing, hand building, design, surface decoration, glazing, kiln packing and firing can all be covered. 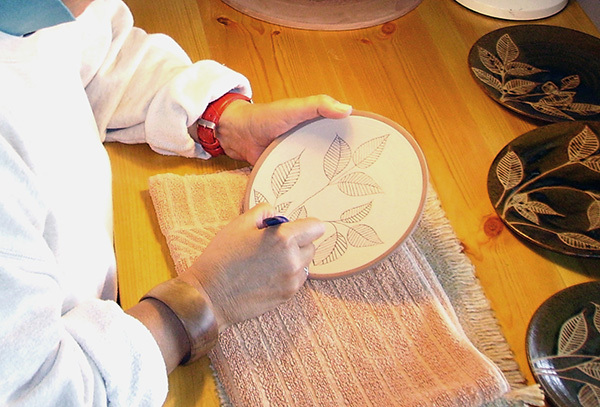 We aim to help you with all aspects of pottery making. If you are an experienced potter who would just like workshop time we are happy leave you to work and only intervene when you wish to have further help. If you are local you may wish to take your pots through to firing. If not we will finish your pots for you, glaze them and send them to you when ready. The cost will depend on the work but will be nominal just intended to cover the cost of finishing. Why not buy a voucher for a friend or loved one for an afternoon of Pottery. Email me jamie@nantyfelinpottery.co. uk with your requirements or ring me on 01570 493401 to discuss available dates. 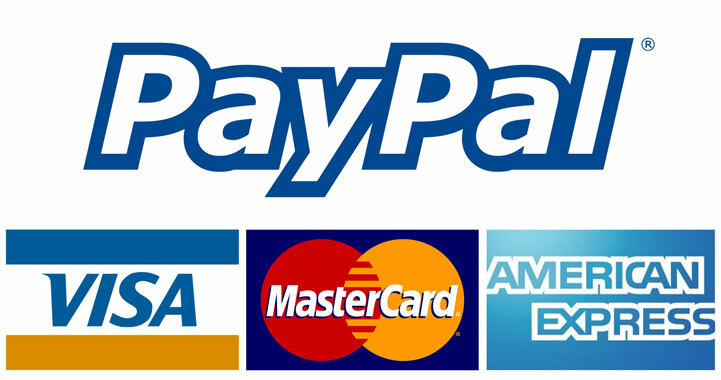 I can send you a PayPal invoice which you can pay online.